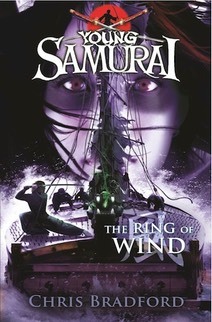 Ambushed by the Shogun's samurai, Jack and his friends have only one hope of escape - the Seto Sea. But with ferocious storms, man-eating sharks and ninja pirates at every turn, their chosen route is fraught with danger. A treacherous crew only adds to their problems as they flee south from a ruthless samurai sea lord. Unless Jack can harness the Ring of Wind, he and his friends are destined for a watery grave . . .